Skilcraft 6-Part Letter Size Classification Folder - Letter - 8.50\"
Six-part classification folders offer an efficient way to organize your project with multiple sections. Design includes one 2" capacity prong on the inside of each cover in No. 1 and 3 positions. Two pocket dividers made of 11 point Kraft stock feature a total of four 1" prongs on each side of the dividers for extra storage. Expandable Tyvek-reinforced gusset offers a 2" capacity. Folder cover is made of 25 point Pressboard. 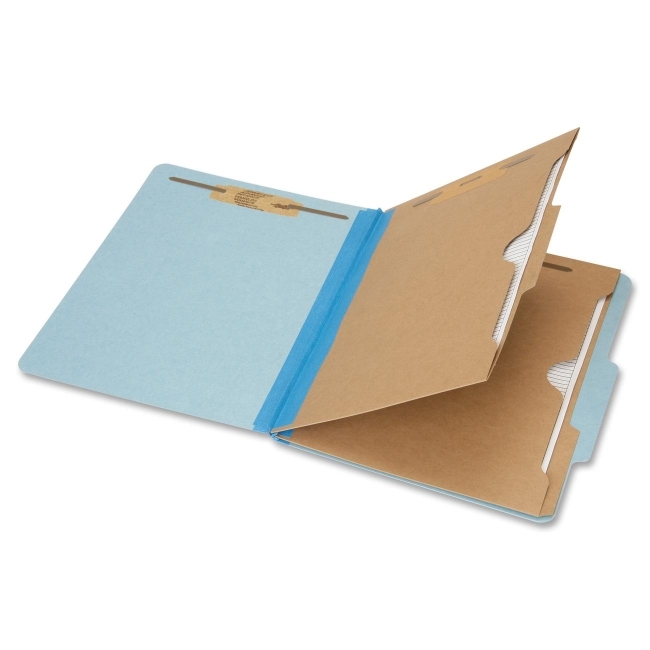 Folders are made using 30 percent post-consumer material.